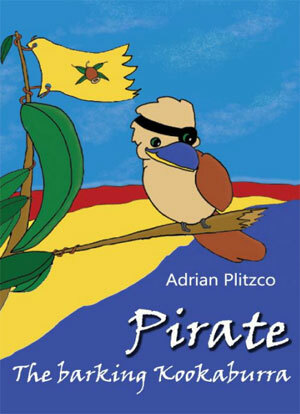 Pirate, the barking kookaburra is a lengthy eBook story. This story is about a baby kookaburra that was lost. This eBook is not for the younger ones. Kids aged 8+ years will find this eBook entertaining. We can call it a short novel for children. The eBook has 72 pages and with no more than a few pictures. However, the theme and concept of the story is for every kid. You can read the story for kids and narrate the story for them. Lack of images is a negative element in this inspirational eBook. Addition of images would have made this eBook more attractive. The brave and courageous dogs and cats helped them overcome the odds. Dogs showed their survival skills to beat the odds and cats were so intelligent to transform the tragedy. Watching these motivational skills, Pirate had a life changing journey. At the end, he was no more a baby (oh yea, he grew up), no more a frightened kookaburra and no more someone who has no self-confidence. He learned to fight for his rights, show love and care and be brave. The name of the lost baby kookaburra is Pirate. He lost his family and friends. He was so angry and afraid of the world since he was small. However, he was having a bit character. With his wittiness, he befriends a bunch of dogs and group of cats. The dogs and cats were so friendly with Pirate. Unfortunately, life took an ugly turn when the wittiness of the Pirate troubled the dogs and cats. Lives of these pity animals turned upside down! (Interested to know what happened? Read the eBook fully and get enlightened). The eBook is written by the famous children author Adrian Plitzco. He had a background in children literature and he had crafted many audio-plays for children. This story makes a good bed-time story for kids. Since the book is a lengthy one, you can make the bed-time routine entertaining with narrating / reading a part of the story every night. A few scenes narrated by the author carry lot of positive and sweet emotions. Overall, it makes a wonderful read!